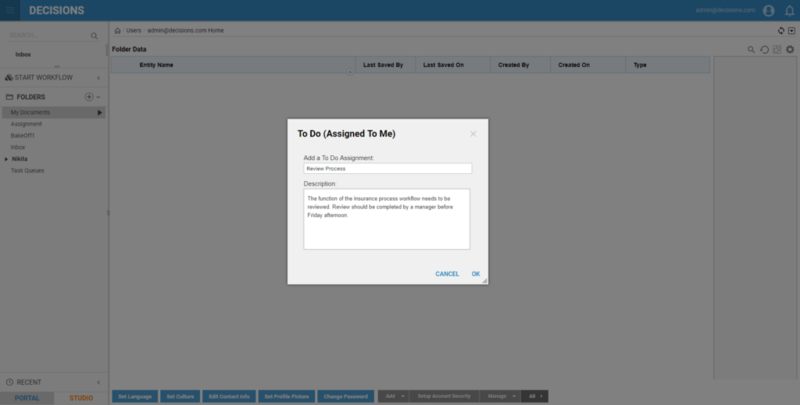 To Do	assignments are actionable notes that can be assigned to users, group, roles, or folders. 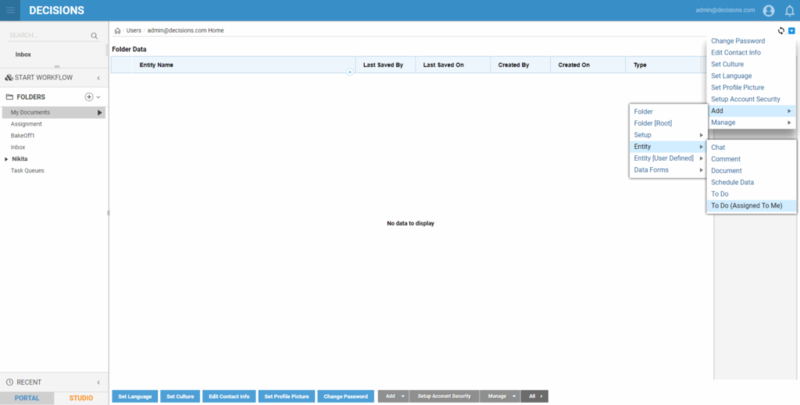 These notes can be assigned automatically by flows or on command by users. Users who receive To Dos will find them listed in the Tasks	panel in the portal. Create a To Do task and assign it to ourselves. Reassign the task to a group. Reassign the task to an account. 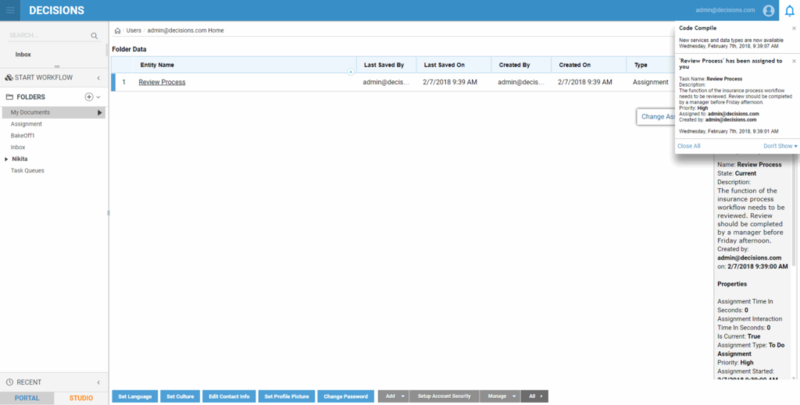 Reassign the task in every user who has permissions to access the folder where the task is stored. In the home page of the User Portal	, click Actions > Add > Entity >	and select To Do (Assigned To Me)	. In the resulting To Do(Assigned To Me)	popup, fill out the Add a To Do Assignment	and Description	fields, then click OK	. Since the assignment is to ourselves (the current user), it will appear in the My Task List	. To reassign this assignment to a group, click on the assignment and select Change Assignment > Re-Assign To Group	. 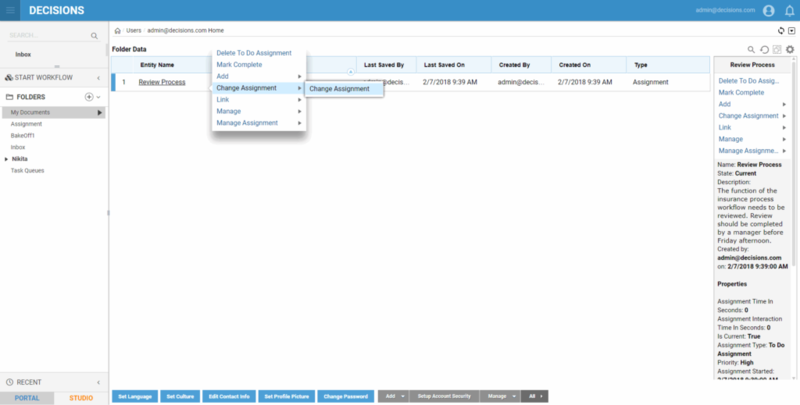 In the Re-Assign to Group	popup, select a group, such as Managers	, and click CHANGE	. Our assignment has been reassigned to the Managers	group. Members of this group can see the Assignment	in their Tasks	List	. 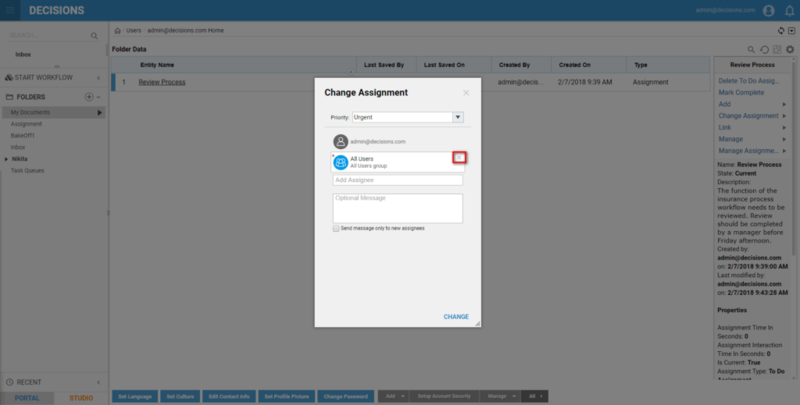 A user can be selected to receive an assignment by selecting Re-Assign to Account	rather than Re-Assign To Group	. A user can also reassign this assignment to users that have specific permissions for the folder where our assignment resides. 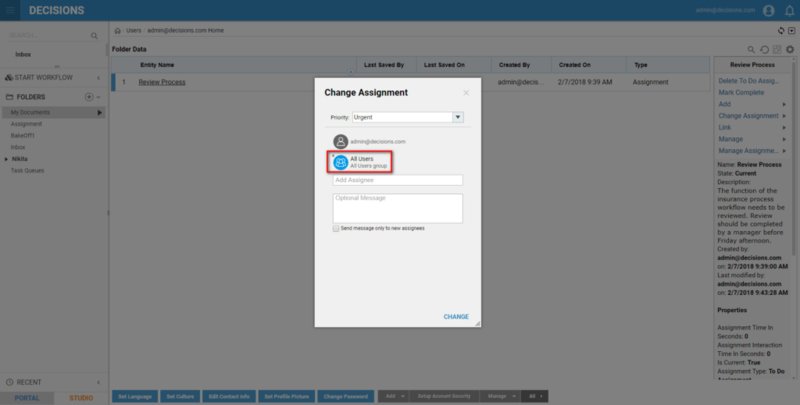 To do this, select the assignment and select Change Assignment > Re-Assign to Users with Permission	.